During ‘El Clasico’ between Ittihad FC and Al-Hilal FC, Alshiaka launched its latest campaign under the hashtag “#شجع_بشياكة” (Support with elegance) during the Saudi. football league. 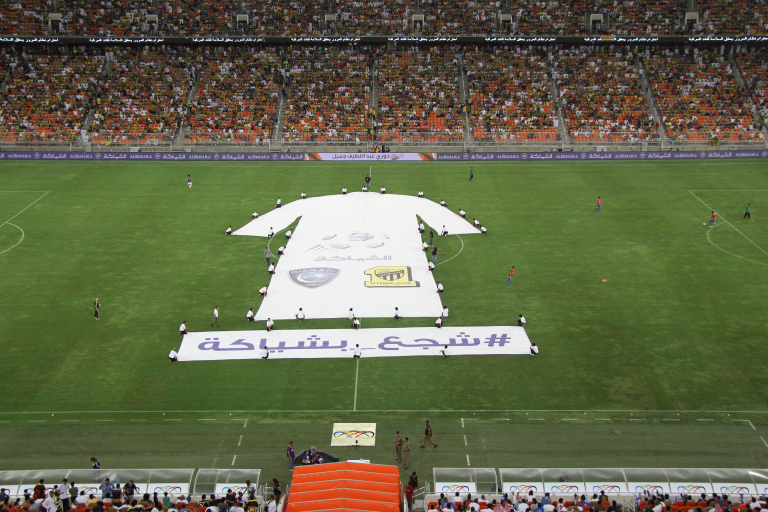 Alshiaka also unveiled the largest thobe ever created during the match with the aim of building awareness around its marketing campaign.